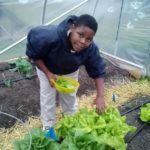 Civic Works’ Food & Farm programs are thrilled to bring Baltimore residents a fresh, local community supported agriculture (CSA) program for the 2019 season! Our weekly and bi-weekly shares of $10 or $20 allow you to swap out items as you see fit. Scroll down for additional details! Click here to register for our 2019 season! Did you know our CSA shares also help support our food access and educational programming? 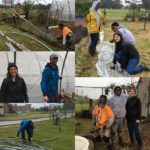 We’re not your average farm and strive to provide increased access of fresh nutritious foods through our Mobile Farmers Market, experience-based education opportunities to groups of all ages, and other services for our community like our compost co-op. Please let us know if you’re interested in learning more! Place a $50 refundable membership deposit to help us purchase seeds and other materials needed to grow the food for your share. If you place at least 10 orders during the season, you will be eligible for a refund or we can roll it over into next season. Due to federal restrictions, we are required to accept payment for no more than three weeks of CSA shares at a time. Those wishing to use SNAP EBT must pick up at Real Food Farm during business hours to reload their accounts as necessary at least once every three weeks. 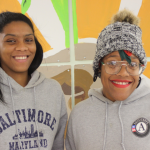 PLUS: Through the Farm Alliance of Baltimore City, we are able to match SNAP EBT users a $1 for $1 match on their purchases! For example, you’d only need to spend $10 in EBT for the $20/(bi)weekly standard share. Expand each to read more. We believe members should have the option to choose what they enjoy each week. We also know each household is different which is why we offer a few different membership sizes. You will receive a weekly or bi-weekly share of $10 worth of produce. As our most affordable option, this share could include a bunch of kale, a pint of cherry tomatoes, a bunch of carrots, and a cucumber! You will receive a weekly or bi-weekly share of $20 worth of produce. This size should cover 1/2 lb of salad greens, a bunch of kale, a pint of cherry tomatoes, a bunch of carrots, a 1/2 pint of hot peppers and two cucumbers! Membership fees are based on 29 weekly or 15 bi-weekly orders throughout the season, weather depending from May through November. Our program is open from early May through late November. Each week shares will be available on Thursdays for pickup, the pickup time window will depend on your location. Pick-up locations include Real Food Farm (No Delivery Fee! ), Charles Village, Roland Springs, and downtown Baltimore City. Let us know if you have other spaces where you’d like to see our produce. We are pleased to be able to offer multiple optional add-on options this year. Coffee shares will be available for pick-up at the same location you select for your produce share pick-up. Interested in using your EBT to purchase a coffee share? Send your questions to rffcommunity@civicworks.com. Over the past few years, Civic Works Baltimore Orchard Project has planted hundreds of fruit trees with community planting partners throughout Baltimore to help address some of Baltimore’s biggest issues – food deserts, vacant lots, the urban heat island effect, and stormwater run-off to name a few. BOP will be contributing fruit to our regular CSA availability to share their hyper-local fruit with you all! Apples, pears, peaches, plums, and wine raspberries are likely to make an appearance. No need to sign up for this specifically, it will be made available to you through your regular produce selection process. Weekly and bi-weekly shares are available for 15 and 29 weeks (just like our veggie shares!) Always chewy, crunchy and beautiful, the flavors range from Simple Country Loaf (typical sourdough bread) to savory flavors like olive, curry turmeric or sun-dried tomato, to sweet like walnut date, cranberry pecan or chocolate chocolate chip – and many more. Current customers enjoy the bread for sharing with friends at parties, or as part of elaborate sandwiches, or as part of a healthy breakfast every day. CSA members’ loaves will be delivered with instructions on how to reheat the bread to taste like it was just baked. A Friendly Bread is the creation of Lane Levine, a Woodberry resident who works for a hospital during the week, and has been operating the business for just about two years. Be sure to check out A Friendly Bread on Facebook for more information.